Falinda the good witch is always accompanied her cat, Shadow. One morning Shadow does not return from his nightly adventures. Falinda searches everywhere with no success. The children bring her kittens, but Falinda has no interest in replacing her dear pet. That is, until a little kitten keeps appearing at her doorstep seeking attention and bringing gifts. 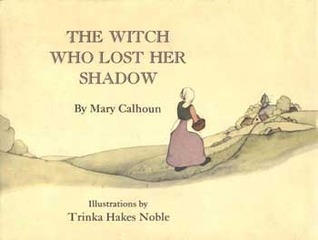 I do like Mary Calhoun's books. And she seems to like cats.